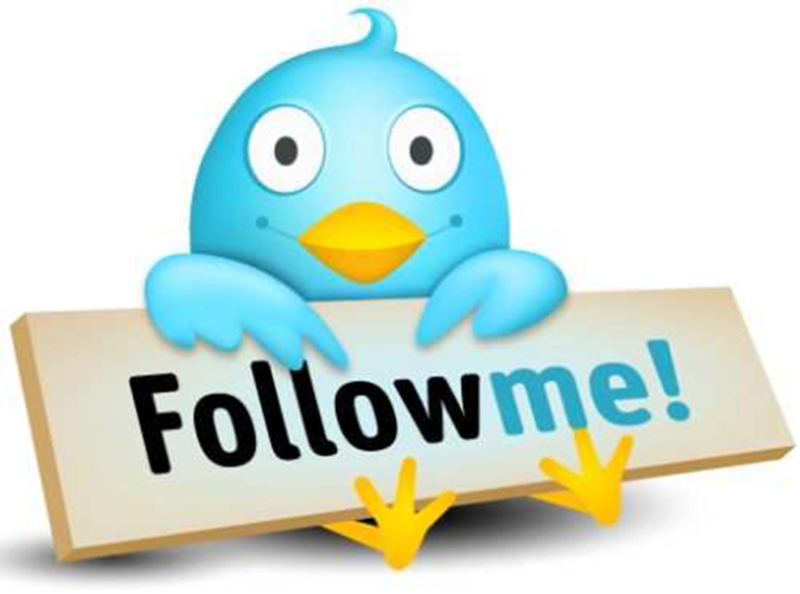 Promote your website on Twitter and get more Twitter followers. As a modern age marketing professional, you understand the role and importance of social media marketing. 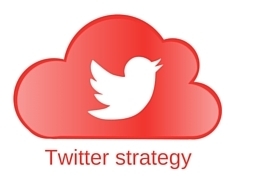 Also, you actively use Twitter as your best tool for online marketing strategy. But are you satisfied with your activity level, the way of tweeting and the outcomes of the entire practice? Don’t you feel the need of some expert guidance to suggest some more interesting, easy and effective twitter tools and tips that can really help you to promote your website and improve the performance and boost the results? also, Read how to use Tinder without Facebook App. Twitter is a great online marketing tool that can benefit your website promotion and your business through a huge number of twitter followers and an impressive reach. If one can understand the right way of using the features of it such as tweets, re-tweets, replies and power of millions of following users, no doubt that you will be able to find the right followers, really interested influencers and ultimately the dedicated customers for your business. Use the power of 140 words in the right way and feel the difference in your business or website online reputation and profitability also. Must Read: Twitter Tools To Improve Your Twitter Followers and Profile. 6 How To Use Twitter To Drive Traffic To Your Website? 7 How to get the right followers for your tweet–Ultimate twitter guide? Here are ultimate twitter guide tips that can show you the way to get more return from your specified Twitter efforts and earn more and more fan following and twitter followers. Till the date, the marketing professionals were planning their social media marketing strategy based on a well-set belief that if you are good at engaging in conversation, you can get more new followers on Twitter. But, the new researchers held on 1.3 million random Twitter users have established that the account who is visited mostly converse less. It doesn’t mean that you should completely avoid the conversation, it only indicates that you should discourage the unnecessary and non-productive conversation. Of course, when the time is money, you should smartly invest it on tweeting your followers the relevant links instead of convincing them directly. Having a direct conversation is the part of the promotional strategy for a small-scale new business that can help you to earn some very first couple of hundred followers. You should place a “feature box” at the top of the website homepage that offers the visitors a freebie to the visitors if they sign up to your email list. As another feature to be added to your profile page, you may combine two rather native features on your Twitter home page and these are pinned tweet and lead generation card. Start with creating a lead generation card in which you can add an incentive that can attract the people to join. Complement it by offering the email updates on a regular basis, some subscribers only discounts or incentives and any freebie with specifications. As the next step, you have to pin it to the top of the profile and its done. This is the process that results from some great benefits; now, you will have all your email leads saved in .csv files. The lead generation card will do it for your later downloading as per your convenience. Furthermore, you may have any smart email marketing tool, for example, MailChimp from that will detect all the new leads from your Twitter and deliver directly to your email list. Sounds fantastic, isn’t it! As per an earlier Twitter trend, people used to short their URLs so that they can save the extra words for their tweets. Today, you can set your mind free from the worry to save words because whatever is the size of your URL, Twitter will assume it off 22 words at all. Twitter has also facilitated with an inbuilt feature for shortening the URLs that actually check them for viruses or malware. Don’t hesitate to ask your influencers to promote you. It is very important that your post may be tweeted by the right people, not all the people who know you. So get the right influencers on your network, and then develop and maintain a good relationship with them. As soon as you get or create some interesting content, share them with your influencers and ask them to share it. The recommendation feature is one more facility available with Twitter which is very supportive, however people generally pay no attention to it. Once the visitor tweets an article from your blog and he is not your existing Twitter followers, his windows will recommend him to visit your Twitter page.No doubt, it is an interesting way to promote your Twitter account as the people who tweet your account, may want to join you. Sometimes it is very good to repeat your earlier article as your Twitter post’ just one thing to take care here that it should be as much closer to the first tweet of that article. Once your blog, article or content is live i.e. published on the internet, tweet about it immediately. As per retweeting strategy, you have to repeat it after a few hours, the next day and the next week. It’s true that with each retweet the value, importance, and attraction of the message fade some more. But, if your followers belong to different time zones, this method really works and the later retweet works as recalling the memory and inspires the followers to visit your website once again. You can tweet your older articles or contents every now and then, but with a proper interval. So that it may not irritate your existing followers and also entertain your new ones. The Twitter profile picture should be changed within a regular interval. If the account is your personalized one, the picture must be yours so that the profile be seemed more personalized. Utilize the word limit very skillfully and include the keywords so that the potential customers and Twitter followers may easily find you. Create a nice, pleasant and relevant background that must not look like an advertisement. The ideal size and resolution for a Twitter background can be 800k and 1600*1200 maximum. One smart tip: the gadgets with smaller resolution and screen size usually hide most of the background so you need not too extreme superiority to background creation. Offers you the “TwitPic” software that helps in uploading pictures along with your tweets. Is a superb service provided by twitter counter to develop a system in which you can send an email to a follower who has unsubscribed you? A support site with many tools and ideas to manage the followers and classifying the onetime visitors as well as quiet and silent users. A social networking management oriented site with a collection of many cost-free tools that assist in scheduling the post at the time of and before posting a tweet. Never underestimate the power and potential of this primary inbuilt tool on your Twitter home page. You not only need to take the full advantage of it but also boost your search for finding both, the newer and quality twitter followers. Search for your content URL and figure out the mentioning status of your page. Conduct a search based on related keywords. Find the people who are conducting the search with the method same as yours. Not interested in the tweets with links added; type filter: links at the end of each query. Enrich yourself with some more options by using the Advanced Twitter Search. Follow just limited yet interesting and relevant profiles. Realize in yourself that each tweet cannot be read so don’t behave hassy. Twitter is one of the most popular social networking platforms to communicate with people and share the information and messages on a large scale. Because of its huge network and billions of dedicated users, it is the best portal for business marketing and promotion. As all we know, Twitter is actually based on a simple concept, use 140 characters and update your followers about you, your vision or your business. Though a big number of Twitter users use it for fun, pastime or entertainment, but it has been proven in the last few years that if understood and applied properly, Twitter can be the most effective tool for marketing and promotion. You just need the skill to use these 140 words in an attractive manner so that the people may come to your site and spend some time to understand it. Now the question is, how to use Twitter effectively to your best benefit? With Twitter, you can tell the web universe that who are you, what are you doing, what is your specialty and how are you connected with the audiences? By making this connection or bond, you can develop a relationship with them and influence them. 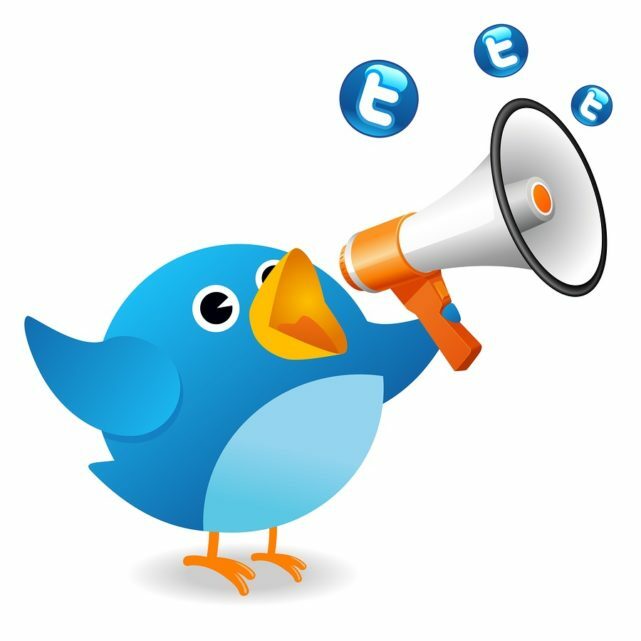 Let’s find out how Twitter can be your best companion in the promotion of your website. First of all, you need to be assured that your Twitter page is all set ready for the upcoming traffic generation and a load of comments and reviews. The username must be simple and convenient; also it must be close to these name of your website and the subject matter. To display your credibility and reliability, it is good that you fill all the fields in your profile. This also helps people finding your connection in the searches. If you mention the name of your website in the “Bio” field of your profile, you will simply get the advantage of the traffic driving to your website. Your profile picture must resemble your profile name and website name. Your starting tweets should be nice and impressive; don’t get stressed just behave simple and after two or three tweets you may have enough confidence to present your vision clearly and smartly. A good looking tweet page attracts more people to see and join you and its benefit ultimately receives to your website. How To Use Twitter To Drive Traffic To Your Website? If you have the exact idea that what are you doing and what more you need to do, this may connect you to a large number of people around the globe. But the thing that you need to consider is your actual aim is not increasing the number of twitter followers for your Tweet page but finds the real and quality influencers. These are the kind of followers who can connect with more like them to increase the traffic to your website. The developers of Twitter were meant to spread the information virally; here the information or message is delivered or spread in a chain reaction system. It can be understood by an example – a person receives an interesting tweet and decided to retweet it to his four friends and they also repeat this with their friends. In this way, the message reaches all the potential Twitter followers who may have an interest in this kind of information. This chain wise distribution of information spread ultimately reflects in a huge number of quality followers for a website. To reach this condition you need to find the very first set of right followers who may be interested in your message. How to get the right followers for your tweet–Ultimate twitter guide? No doubt, you have your own league of followers who are really interested in your tweet page and dutifully retweeting your messages to their links. You can offer your Facebook followers to join and visit your tweet page and of course, hey will accept it. These people will give a jump start to your Tweeter campaign and add more traffic to your website. It will be good if you use a Twitter widgets in your website that facilitates the visitors to follow you just by a single click. If you are serious about getting the right followers for your Twitter web page, think about being a right one yourself. You should follow the people who are linked to you and the topics of your site. You can search these people on twitter by searching for inserting topics, location or phrases. This will also be good if you follow them and retweet them, don’t hesitate to comment and respond them to communicate the message that you also belong to that field. Once you have a remarkable number of right and quality followers for your Twitter web page, the next step is to develop and maintain a two-way interactive conversation. Quite similar to a website, people show their response to the tweet with a quality content. You have a scope of 140 words to present your message in an attractive and meaningful manner. Sounds difficult, yet possible! Links are your friends, companion, and the real objectives. Use the 140 word limit for the presenting of your specific idea as well as links to the related website. Followers are generally curious about going into each link mentioned in the tweet page they are highly interested in it. All your unique ideas and the views about the subject matters of the website should be smartly communicated through your tweets. To draw the followers’ response ask the questions or invite the suggestions on any topic. Mention the latest news on your tweets to tell your followers that you are up to date and very relevant to current affairs. Behave human; not just print machine who technically presents the pamphlet on the company’s history, policy and offers. Develop some interesting and touchy content. The conversation must go on after one or more responses, it builds the relationship. After some time when are capable enough to build, develop and maintain such relationships, you can transform these conversations in increased traffic to your website. Be reasonable and respective: It is very shameless behavior that you promote your business or website all the time. This irritates people and this is an unbearable situation while they have already visited our website. Tweets must be in limited amount: Stay apart from over tweeting. They must be in the reasonable amount and concerned with the relevant matter. Too many unnecessary tweets only fill the people’s feed area and make them annoyed and bewildered. Never make duplicate tweets: It is not compulsory to tweet daily while you don’t have something creative and interesting to communicate with your followers. Some of us use to repeat the previous tweets on their tweet page. This may harm your reputation and people will stop to take your tweet alerts seriously. So, here is your ultimate twitter guide to promote your website and get more twitter followers or suggestions, If followed in the right way, you will get the assured success for your Twitter followers, Twitter marketing, and website promotion campaign. Twitter is one of the most powerful tools of social media communication and can benefit the society and the business in very specific manners. Twitter is a concept, approach and the methodology that can be easily converted into the strategy to increase the credibility, reputation, and profitability of a business, organization or an individual. One can promote a business, make his website popular and also attract the quality followers to increase the traffic to this. If you have any questions regarding this ultimate Twitter guide to get more Twitter followers and Promote your website through Twitter Marketing in particular or related to twitter tools in general then you can ask that in the comment section below. Hey Arpit! I am sorry but I didn’t got the complete process of using feature box instead of pinned tweet. I think I am missing out the technical aspect. It would be very kind of you if you can get it explained to me.